All you need is music · Open Education Week . Education in Japan . Numbers on distance learning . Bachelor of Civil Engineering . About AIU . December 08, 2013. Recently in the city of Barranquilla, Colombia, the III Spanish- American Congress and the V National for Quality Education took place, with the participation of more than 60 principals, teachers and administrators of official educational institutions. In such events, AIU has received the nomination of Preferential Affiliate awarded by the Organization of the Americas for Educational Excellence for having completed the incorporation procedures of the organization, ensuring to obtain all the benefits that the organization awards, and the SAPIENTIAE Award for Educational Excellence by the same organization. The event counted with the participation of important institutions such as: • Eastern Connecticut University • World Federation of UNESCO Clubs • Business University Corporation for Salamanca • National University of Colombia • Sam Houston State University • Simon Bolivar University The Representation of AIU in Colombia was appointed by the Academic Council of AIU in the United States to participate in such event and receive the award. We feel much honored by these recognitions which encourage us to continue working with lots of love to achieve that many more students can have a positive impact on their families and societies in which they live. 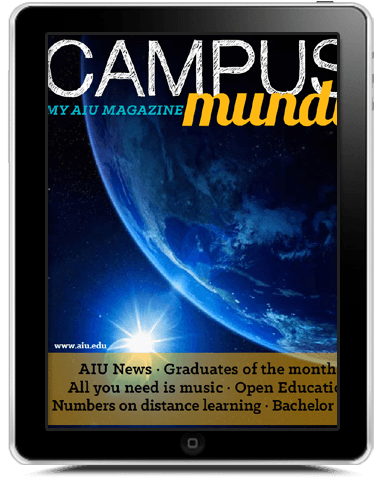 These achievements pertain to all the Educational Family of AIU in the world. Students, Academic Advisors, Counselors, Staff Members, Academic Council Members, Tutors, and Representatives of AIU in the world have definitely contributed to the growth of AIU and its commitment to quality education in the world. Congratulations to all of you. December 15, 2013. Odhiambo James Oduke has written 2 articles that he has developed during his studies with AIU, which have been recognized and published in Grin Publishing (www. grin.com). His doctoral thesis; Role Play and Foreign Language Learning- The Kenyan Experience has also been published. Odhiambo completed a Doctorate program in Linguistics in Atlantic International University. /product54237.html In addition to his published works, he has also been given an award for his contribution in National Development in Nigeria by Corporate and Media Africa Communications LTD on December 7th, 2013 at the National Merit House in Abuja, Nigeria. His award; Meritorious Diamond Award for National Development is in recognition of his contribution to the socio-economic development of Nigeria through his academic field of endeavor. Emeka is a Doctoral graduate in Religious Studies, here at AIU. into a cutting edge book. What was your work about? My research was on treatment of endocrine disruption chemicals (EDCs) from water and wastewater. EDCs are persistent against conventional wastewater treatment method. It was ascertained that ozone could effectively degrade and mineralize most of the EDCs. For this ozonolysis of a model EDC, diclofenac sodium (DFS) has been carried out in semi-batch process to get necessary kinetics. With this, a simulation model has been developed for flow ozone membrane reactor. A reactor that could simultaneously mineralize and separate EDCs effectively from water and wastewater. Afterwards a model simulation was carried out for ozone membrane reactor to predict its performance. Model simulation predicted mineralization of EDC (DFS) from water and wastewater. How was the publishing process? What did you do to get your thesis published? In my case, the book publication was rather simple. First, I published three articles from my PhD thesis in an internationally recognized journal. Then, LAP publication, Germany, got information on my publication from the mentioned journal. Then, they contacted me and expressed their desire to publish my work as a book chapter. I told them that instead of book chapter, they could publish my whole PhD thesis in a single book. They accepted my proposal and asked me to send my book electronically through their Internet system. I did that and after a review, they agreed to publish my PhD thesis as a book. 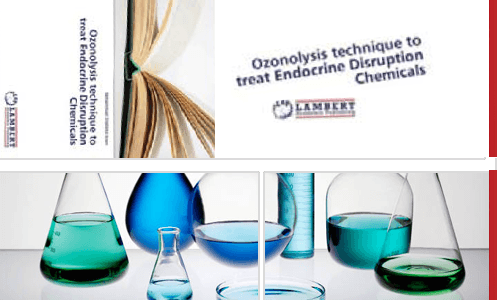 It did not cost anything to me… but retail price for the book “ozonolysis technique to treat endocrine disruption chemicals” is 35.9 euro. What was the motivation to publish your thesis as a book? My motivation was to share information of my work in a global level, since mine was a unique work and it opened frontiers of science on ozonolysis technique to treat endocrine disruption chemicals from water and wastewater. When you were writing your thesis, did you think of it as a book? When I started writing my PhD thesis, I did conceptualize it as a book. That was because I independently deduced all derivations, corollaries and hypothesis in my PhD thesis. So, I thought it would be great to publish the results of my research as a book. Who will be interested in reading your book and why?Who will be interested in reading your book and why? All the information contained in my book will be helpful for water treatment industries to develop suitable membrane (i.e., characteristic parameter of membrane such as efficiency, molecular weight cut-off and enhancement) to treat EDCs from water and wastewater. What was your experience studying in AIU? My study at Atlantic International University was very pleasant. My academic adviser was very optimistic. I think those were important elements that helped me finish my study with good results. Why do you think your experience is so important? Well, I’m convinced it is very important to try and go beyond a school paper in order to reach all the people in the world who may use the original information to improve their communities. All creative works should be published as a book, especially creative ones, so they can be used as a reference and develop the knowledge one step further. From this particular experience I have learned that if you write scientific information with a specific structure, if you organize it in a certain way, you can have it published in the form of a book or as an article for a specialized magazine or journal. What can you recommend to your student colleagues? I can recommend them to write their PhD thesis in a way it can reach more people, more final users. It should be unique and it should open frontiers of science in a specific field. Then hopefully global publishers will be more than happy to publish their master piece of work. MUSICOPHILIA. We love the work of neuroscientist and prolific author Oliver Sacks, especially his latest book, The Mind’s Eye. MUSIC, THE BRAIN AND ECSTASY. If the human voice is the greatest instrument, as the widespread music teacher preaching goes, then the brain is the greatest composer. Every time we perform, compose or merely listen to music, the brain plays high-level Tetris with a range of devices, harmonies and patterns, creating emotional meaning out of the elements of sound and often extracting intense pleasure. In Music, The Brain, And Ecstasy: How Music Captures Our Imagination, composer Robert Jourdain examines music’s unusual emotive power through little-known facts and physiological phenomena and historical anecdotes. Perhaps most fascinatingly, he pins down the origin of pleasure in music as a consequence of a series of tonal deviations that create a conflict in the brain, resolved with a return to the tonal center, which gives us a sensation of bliss. This sequence of conflict and resolution, he explains, can come from the four key elements of music: rhythm, melody, phrase, and harmony. “Ecstasy” is the result of a resolution that comes once a conflict has reached the limit of the listener’s comprehension ability in tonal space-time. Why music makes us feel the way it does is on par with questions about the nature of divinity or the origin of love. In This Is Your Brain on Music: The Science of a Human Obsession, Daniel Levitin sets out to answer it —an ambitious task he tackles through a range of lenses, from a digestible explanation of key technical constructs like scale, tone and timbre to compelling cross-disciplinary reflections spanning neurobiology, philosophy, cognitive psychology, memory theory, behavioral science, Gestalt psychology and more. He illuminates diverse subjects like what accounts for the diversity of musical tastes and what makes a music expert, framing music processing as a fundamental cognitive function embedded in human nature. Levitin manages to do this while preserving the without subtracting from the intuitive, intangible magic of powerful music, dissecting its elements with the rigor of a researcher while preserving its magnetism with the tenderness of a music lover. The book’s final chapter, The Music Instinct, may be the juciest: It’s a direct response to Harvard psycholinguist Steven Pinker, who in a 1997 talk famously called music “auditory cheesecake” and dismissed it as evolutionarily useless, displacing demands from areas of the brain that should be handling more “important” functions like language. In fact, sharing is probably the most basic characteristic of education: education is sharing knowledge, insights and information with others, upon which new knowledge, skills, ideas and understanding can be built. 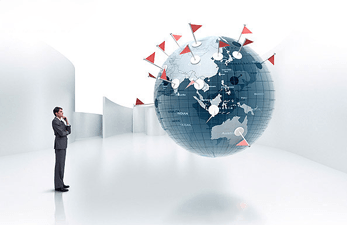 Open Education seeks to scale up educational opportunities by taking advantage of the power of the internet, allowing rapid and essentially free dissemination, and enabling people around the world to access knowledge, connect and collaborate. This year, Open Education Week will be celebrated from March 10 to March 15. *Open Education is, at its core, about free and open sharing Educational Materials. *Refers to the use of legal tools (open licenses) that give everyone permission to reuse and modify educational resources. *Free and open sharing increases access to education and knowledge for anyone, anywhere, anytime. * It allows people to make changes to materials or to combine resources in new ways to build something new. *Open Education incorporates free and open learning communities, educational networks, teaching and learning materials, open textbooks, open data, open scholarship, open source educational tools and on and on. *Open Education gives people access to knowledge, provides platforms for sharing, enables innovation, and connects communities of learners and educators around the world. People want to learn. By providing free and open access to education and knowledge, we help create a world where people can fulfill this desire. Students can get additional information, viewpoints and materials to help them succeed. Workers can learn things that will help them on the job. Faculty can exchange material and draw on resources from all around the world. 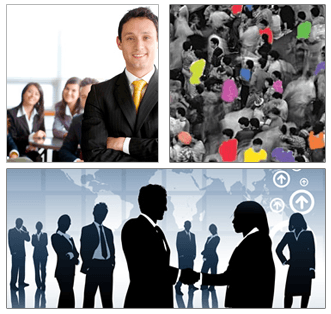 Researchers can share data and develop new networks. Teachers can find new ways to help students learn. 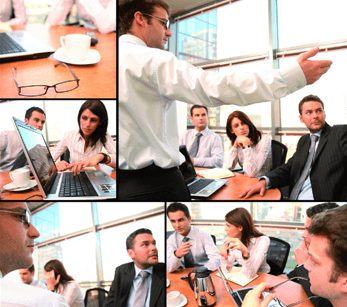 People can connect with others they wouldn’t otherwise meet to share information and ideas. Materials can be translated, mixed together, broken apart and openly shared again, increasing access and inviting fresh approaches. Anyone can access educational materials, scholarly articles, and supportive learning communities anytime they want to. Education is available, accessible, modifiable and free. The courses presented by AIU form part of the University’s Open Access Initiative seeking to eliminate the cost of Higher Education by making learning materials and research Publicly Accessible (http://aiu.edu/openaccess. htm). Courses provided by other leading educational institutions are solely the responsibility of those institutions. AIU shares no responsibility in the content or creation, nor does this listing imply any relationship unless stated. Who is contributing to Open Education Week? Open Education Week is coordinated by the OpenCourseWare Consortium, an association of hundreds of institutions and organizations around the world that are committed to the ideals of open education. More than 100 universities, colleges, schools and organizations from all over the world have come together to showcase what they’re doing to make education more open, free, and available to everyone. You can check out the list of contributors, and see who’s on the planning committee. Open is key; open allows not just access, but the ability to modify and use materials, information and networks so education can be personalized to individual users or woven together in new ways for diverse audiences, large and small. Japan’s place in global education rankings has been outstanding for years. Some people think it’s because of the traditional background, or the hard pressure every student has to live with. Others consider it all begins with the original way their brains work. It is no secret anymore that Japan has achieved world status in education. Indeed, some of Japan’s contemporary accomplishments in education –as in economic development– are literally in a class by themselves. Japanese education provides all children with a high quality, well-balanced basic education in science, music, and art through 9 years of compulsory schooling. The average level of student achievement is high by international standards. So is the retention rate: virtually everyone completes the 9 compulsory years and almost 90 percent of the students graduate from high school. • Motivating students to learn and teaching them effective study habits. • Creating and maintaining a productive learning environment, which includes effective school discipline. • Using time productively for educational purposes in and out of school. • Sustaining attention to developing character and desirable attitudes and behavior (according to Japanese norms) throughout the elementary and secondary years. • Developing a professional teaching force that is competent and committed, well respected and well remunerated. • Providing effective employment services for secondary school leavers and graduates. • A preschool experience (much of it parent financed) for more than 90 percent of children. • An effective public school system, particularly during the compulsory attendance period, supplemented at elementary and secondary levels by an informal, but symbiotic set of private (parent financed) education programs responsive to the needs of individual students. All of the foregoing are undergirded by parental commitment to and sustained support for the education of the child during the entire time they are in school. Education is reinforced at every turn by the historical and cultural heritage, community consensus, government policy, the needs and employment practices of business, industry, and government. Japanese education has produced multiple benefits for the nation as well as for its individual students. These benefits include a well-educated citizenry, which strengthens national democracy; an adaptable work force capable of high productivity in a competitive world economy; the opportunity for individual social and economic mobility; and an improved general quality of life. In trying to understand how the Japanese accomplish what they do in education, how and why the system works, and some of its dynamics, one finds that more than the school system is involved. The home environment for the student, home-school relation, unofficial education programs outside the school (particularly the juku), the relationship between industry and education, especially at the postsecondary level, all have to be taken into account along with history and culture. For Westerners, Japanese education is fascinating and complex. Its achievements appear to be as much a product of the nation’s unique historical and cultural foundations and parental commitment as of pedagogical policies and practices. Indeed, several specific factors that contribute to educational achievement may not be readily exportable, so tied are they to the Japanese context. Not all of Japanese education is homegrown. Japan is unusual in its long record of interest and initiative in learning from other countries. Most modern nations, including the United States, have been the beneficiaries of education ideas from other countries, but Japan has been more active in deliberately seeking ideas from abroad to help solve its education problems as it perceives them and less self-conscious in adapting those which seem useful. While contemporary Japanese education has been widely praised, especially because of outstanding results demonstrated in international comparative studies of school achievement in science and mathematics, it is not well known that Japan’s record of distinction in education has roots that go back over a hundred years. Indeed, in some important respects education in Japan today is heir to a legacy of ideas whose origins long predate the century of modern Japanese history. Tormented by the difficulty of landing a position and unfair practices by prospective employers, 1 in 5 college students contemplate suicide during the job-hunting process, a poll of 122 students conducted in July by the nonprofit group Lifelink found. The Tokyo-based group conducted two surveys, on 121 students in March and 122 in July, on the stress associated with the job hunt, spurred by recent government statistics pointing to a marked increase in suicides among people in their 20s. Only the students in July were asked about suicide. According to National Police Agency statistics on suicides in 2012, the total number of suicides in Japan has shown a downward trend over the last 15 years, dipping below the 30,000 mark for the first time last year to stand at 27,858. However, the number among people in their 20s has gone up since the late 1990s, numbering 3,000 in 2012. “Failures in job hunting” accounted for 149 suicides among people in their 20s last year, 2½ times the rate in 2007. Released Friday, the Lifelink poll, which covered people in four-year universities, graduate schools and vocational colleges, found that students have a strong distrust of firms in Japan and of Japanese society overall, yet have a burning desire to get fulltime employment after college. Sixty-nine percent said Japan is a society where honesty and hard work are not rewarded, while 97 percent said they want to become full-time employees after graduation. Eighty percent of those surveyed said they felt a strong sense of anxiety during their job search, with many citing the fear of not getting an offer from the firm of their first choice, and of “getting left behind” by their peers. Adding to their stress is the often unfair treatment by companies. Some firms, the students found, secretly gave more opportunities to students from certain high-ranking universities while officially touting a “no-college-name-asked” hiring policy. 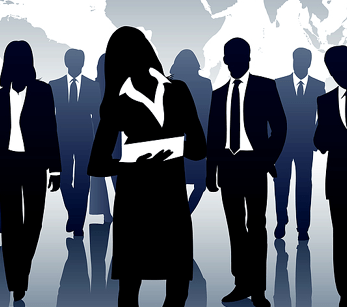 Students often rely on friends, social media and Internet bulletin boards for tips on job hunting, but they also suffer from a sense of exasperation and isolation when their job search doesn’t go smoothly in comparison with their peers, said Lifelink founder Yasuyuki Shimizu. By Masaomi Ise | Source: educationinjapan.wordpress.com from Japan Close-Up. © Masaomi Ise. All rights reserved. Our story begins with the visit of Professor Tadanobu Tsunoda of Tokyo Medical & Dental University to Havana, Cuba, a few years ago, to attend the 1st international seminar titled “Central Nervous System Disease Physiology and Compensation.” Cuba was still under embargo and Prof. Tsunoda was the only participant from a western nation. There was a reception on the night before the seminar began, with many scientists in attendance. A Cuban man was delivering a fervent speech in powerful Spanish. But Prof. Tsunoda was distracted by the extremely loud sound of insects that enveloped the meeting hall. Realizing that even in January Cuba was hot, he asked someone what kind of insect it might be, but no one could hear the insects, while to Prof. Tsunoda it sounded like a loud outburst of cicadas or crickets! When the reception finally ended at about 2 o’clock in the morning, Prof. Tsunoda made his way back with two young Cubans. On the quiet night streets, he could hear the same insect songs as before, but even louder now. Prof. Tsunoda pointed out many times the places in the bushes where he could hear the insects singing, but though the two would stand still to listen intently, they couldn’t hear anything. They just looked at him rather strangely. Prof. Tsunoda met with the two Cubans every day for some activity or another, but not until the third day did the man finally notice the insects’ noise. He didn’t seem much interested, however. The woman never did hear the insects during the whole one week seminar. To the doctor it seemed that the hearing of Japanese people and hearing of foreigners had to be very different. For the Cubans, if one were used to hearing the loud insect singing that filled the meeting hall as the ordinary background noise, they would not even be conscious of it. This is the same phenomenon as living for many years next to a railroad and growing so accustomed to the noise that we wouldn’t even notice a train passing by. But since Japanese hear insect sounds in the same language sphere as they hear human voices, we can’t let insect sounds just go by as part of the background noise. The fervent speech in Spanish and the loud insect singing were in direct competition in the left brain of Prof. Tsunoda. This unique characteristic is only found among Japanese and Polynesian people, while Chinese and Koreans exhibit the same pattern as Westerners. What is even more interesting is the fact that Japanese whose mother tongue is a foreign language follow the Western pattern, while foreigners whose first language is Japanese follow the Japanese pattern. So this phenomenon is not a matter of hardware, (physical structure), but an issue of software, namely what language was learned first as a child. Before examining this difference further, let’s take a look at the experimentation that proved these results. The actual nerves that run from the human ear to the brain cross over, so that sound data from the right ear goes into the left brain, and vice versa. When different melodies are played at the same time into the right and left ears, persons always recognize the melody they heard in their left ear better. Similarly, if different words are spoken simultaneously into the right and left ears, the right ear, namely the left brain, has better recognition. That is why we almost always put the telephone receiver to our right ear. Using this method and many different types of sounds to find the difference between the left and right brains, it was shown that Japanese and Westerners alike heard music, machinery and noise sounds in the right brain and language sounds in the left brain, but Japanese heard vowels sounds, crying, laughing and sighing, the cries of insects and animals, waves, wind, rain, running water and Japanese musical instruments in the left brain, the same as language, while Westerners heard these sounds in the right brain together with music and noise. In Japan there is a whole culture to be heard in the sounds of insects. Even today there are websites devoted to images of crickets and recordings of their songs, and there are countless books about how best to keep them. The nursery rhyme “Insect Voices” is an example of how the art we hear in insect sounds is familiar to us from childhood. Oh, the matsumushi cricket is singing Chin-chiro, chin-chiro, chin-chiro-rin Now the suzumushi bell-ring cricket is starting to sing Rin rin rin rin ri-in rin Calling out through the long autumn nights Oh how beautiful are the insects’ voices ! All the different kinds of insects like matsumushi and suzumushi sing with different kinds of chirps. We can imagine the Japanese view of nature that says both humans and insects as part of all living creatures have “voices” and “feelings.” The unique characteristic of Japanese people that hears insect sound and human voices in the same language sphere of the brain is very well reflected in our culture. Prof. Tsunoda’s discovery also showed that Japanese also heard other animals’ cries, plus the sound of waves, wind, rain and bubbling brooks in the language sphere. In Japanese, brooks say “sara-sara,” waves say “zabu-n,” rain says “shito-shito,” and wind says “byu-byu-.” Prof. Tsunoda’s discovery is in line with the ancient Japanese view of nature that sees gods living in every natural being, from mountains to rivers and seas. The physiological characteristic of Japanese to hear natural sounds in the language sphere of the brain, and the linguistic characteristics of the Japanese language which has highly developed onomatopoeia, together with the Japanese view of nature which finds gods residing in all natural beings, are all very well represented within the Japanese psyche. The significant part of Prof. Tsunoda’s discovery is that the Japanese pattern of hearing nature sounds in the language sphere is not a matter of ancestry, but rather dependent on whether Japanese was the first language learned. Data collected from 10 South Americans of Japanese ancestry shows an example of this. Nine of these 10 ethnic Japanese had either Spanish or Portuguese as their first language, and their brains all fell under the Western pattern. The only one who exhibited the Japanese pattern was a girl who had received a thorough education in Japanese language from her father and didn’t understand a word of Portuguese until she was 10 years old. On the other hand, Koreas and Chinese follow the Western pattern, but Koreans and Chinese who live in Japan and learned Japanese as their mother tongue all follow the Japanese pattern. This very likely means that the Western pattern or the Japanese pattern have nothing to do with race but rather with the difference in the mother tongue. We should not say “Japanese brain” but “Japanese language brain.” The only language Prof. Tsunoda’s has found with the same pattern is Polynesian. But what significance does this difference in brain function thus attributed to the Japanese language have for us? Dr. Hideki Yukawa, a scholar of theoretical physics, had this to say in a conversation with Prof. Tsunoda. “In other words, Japanese have often been said to be somewhat emotional. In contrast to (Westerners who are) rational, that Japanese were said to be more emotional may well have been structural, functional or cultural, but the fact that there actually was a difference that applied in that instance has been made clear by Professor Tsunoda’s research. In that case, my thinking is that our direction should be to take advantage of that difference. Instead of worrying whether the difference makes us better or worse, we should put that difference to work for us. ... From difference rises creativity. The roots of inferiority toward the West run deep among the Japanese people, but to see ourselves and our differences in that manner acts only to further deepen that inferiority complex.” “From difference rises creativity” coming from Dr. Yukawa, who won the Nobel Prize for his highly creative meson theory, these words have great weight. The difference in the Japanese language brain is contributing to increased diversity of the human race, and our culture, which turns its ears to hear each insect’s voice, can be seen as a creative response to human life that can enrich and enliven all of human culture.” The respectful outlook toward nature that turns one’s ears to the voices of all living beings is a valuable hint as to how to live in harmony with all the living beings on our Spaceship Earth. It is our duty as Japanese toward the rest of the world to make a conscious effort to study the Japanese language brain that we have inherited in order to make better use of our natural creativity. 4,277,000 students are taking any distance education course, only in the United States. 150% increase in the number of students selecting distance-learning courses as a part of their regular college curriculum between 1998 and 2008. 71% of leaders of for-profit colleges and universities report that their institutions offer classes online, and more than half (54%) say these classes offer the same value as classes taken in person. 72 completion rate for online classes at community colleges, compared to 76% for traditional faceto- face courses. 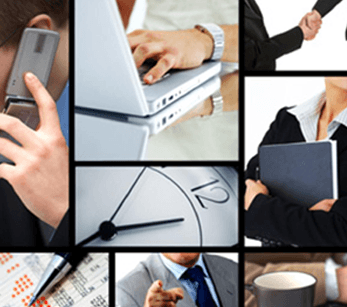 39% Faced with retraining 50 million American workers, corporate America is using distance learning, both internally and externally, for all aspects of training. Many major corporations save millions of dollars each year using distance learning to train employees more effectively and more efficiently than with conventional methods. 65% of students have taken online classes. 64% of full-time faculty at community colleges teach distance education classes; part-time faculty teach 35%. 62% of students believes that virtual learning provides the opportunity for professional adults to take classes while working full time. The Bachelor of Civil Engineering (BS) program objective is to provide professionals with the right tools so that they can prepare for a career in practice, research, or teaching either at organizational or academical level within the discipline of civil engineering. The Bachelor of Civil Engineering (BS) program is offered online via distance learning. After evaluating both academic record and life experience, AIU staff working in conjunction with Faculty and Academic Advisors will assist students in setting up a custom-made program, designed on an individual basis. This flexibility to meet student needs is seldom found in other distance learning programs. Our online program does not require all students to take the same subjects/ courses, use the same books, or learning materials. Instead, the online Bachelor of Civil Engineering (BS) curriculum is designed individually by the student and academic advisor. It specifically addresses strengths and weaknesses with respect to market opportunities in the student’s major and intended field of work. Understanding that industry and geographic factors should influence the content of the curriculum instead of a standardized one-fits-all design is the hallmark of AIU’s unique approach to adult education. This philosophy addresses the dynamic and constantly changing environment of working professionals by helping adult students in reaching their professional and personal goals within the scope of the degree program. Each Bachelor of Civil Engineering graduate is encouraged to publish their research papers either online in the public domain or through professional journals and periodicals worldwide. Civil engineers plan, design, and supervise the construction of facilities essential to modern life. These facilities vary widely in nature, size, and scope and include space satellites and launching facilities, offshore structures, bridges, buildings, tunnels, highways, transit systems, dams, airports, harbors, water supply and wastewater treatment plants. 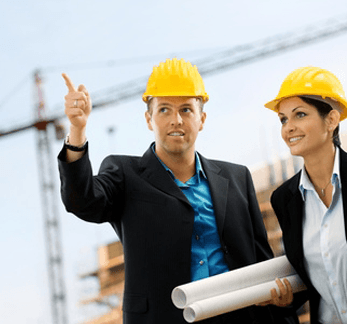 Civil engineers work in diversified areas such as structural engineering, geotechnical engineering, water resources and environmental engineering, transportation engineering, ocean and coastal engineering, and construction engineering.